in early Spanish Colonial times and has long been famous for its unique weavings. 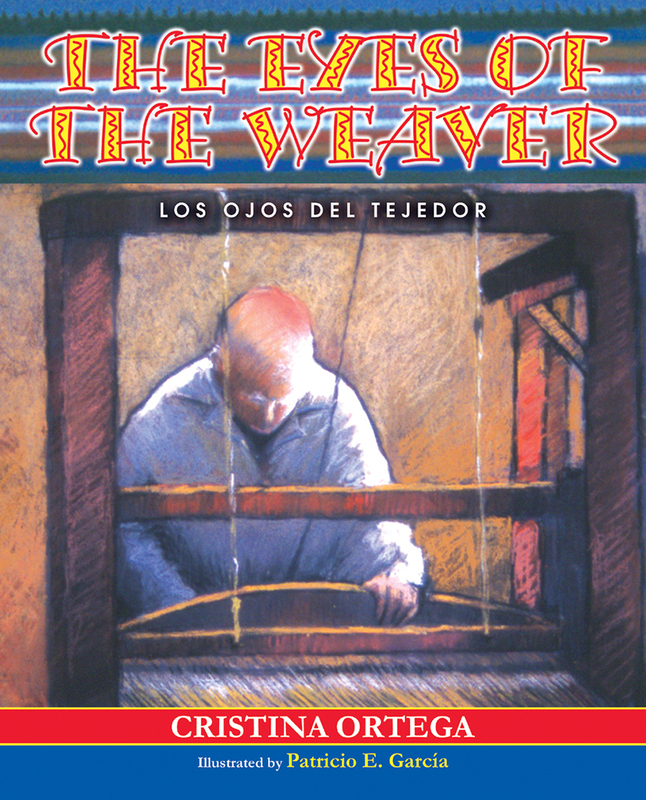 Juan M. Ortega was taught to weave by his father in the early days when weavers sheared their own sheep and spun and dyed the wool for their blankets. El Tejedor (The Weaver) continued weaving until he was one hundred years old, when his eyesight failed him. In The Eyes of the Weaver, Cristina shares her memories of visits when she was ten years old with Grandpa in the village of Chimayó, where he taught her how to weave. She also recalls how Grandma helped her husband choose color combinations for his Chimayó blankets. It was during these visits that Cristina learned how important it is for a child to listen to and learn from his or her relatives. Cristina Ortega has taught elementary school in New Mexico for twenty-five years. Patricio E. Garcia exhibited in a one-artist show at the Governor's Gallery in Santa Fe.